YORKSHIREMAN Leonard Audus left school aged 12 for a job at the Co-op, an organisation he devoted his working life to. He studied at night school and aged 20 passed the Certificate of Grocers with an outstanding mark, which won him a five week trip to Canada. He was appointed manager of the Central branch in Skelmersdale, when he married his childhood sweetheart Agnes. 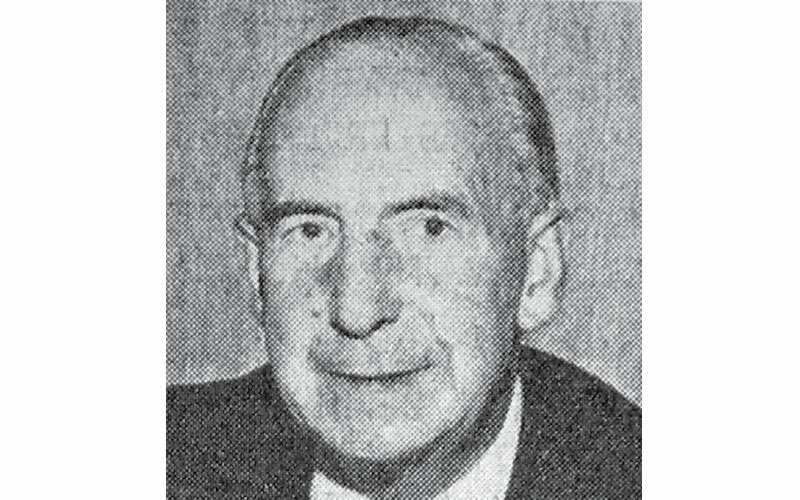 He moved to Grantham in 1942 as secretary and general manager of Grantham Co-operative Society, where he remained until retirement in 1971. He won his first Grantham Borough Council election in 1945 and became an alderman six years later, which caused controversy which reverberated as far as Downing Street nearly half-a-century later. His appointment meant Ald Alfred Roberts, a member for 27 years, failed to gain the support of fellow councillors for re-election to the aldermanic bench. It had been expected to be a foregone conclusion. It still rankled with his daughter, Prime Minister Margaret Thatcher and when it was mention on a TV interview, she was reduced to tears. He was Mayor in 1955-56 and for many years was chairman of the Grantham Magistrates Bench. In 1973 he received an OBE for his services to local government. He was the town’s last surviving alderman. A block of flats on London Road is named after him.